Need a New Style Binder for Organizing? Samsill has a 2-in-1 organizer and a 3-in 1-organizer. 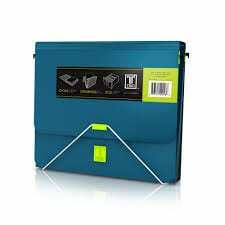 They are binders with a section of 7 clear plastic accordion style dividers and a fold-over cover with an elastic closure to hold the organizer closed. They come in a variety of colours. There are very few differences between the 2 products. 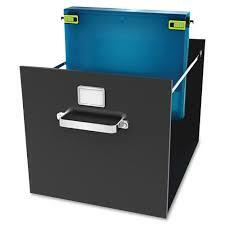 The 3 in 1 organizer has 4 slide out clips that allows you to hang the binder in your filing cabinet. The clips lock into position making it easy to use them. This function makes storing the files neat, tidy and easy to retrieve. 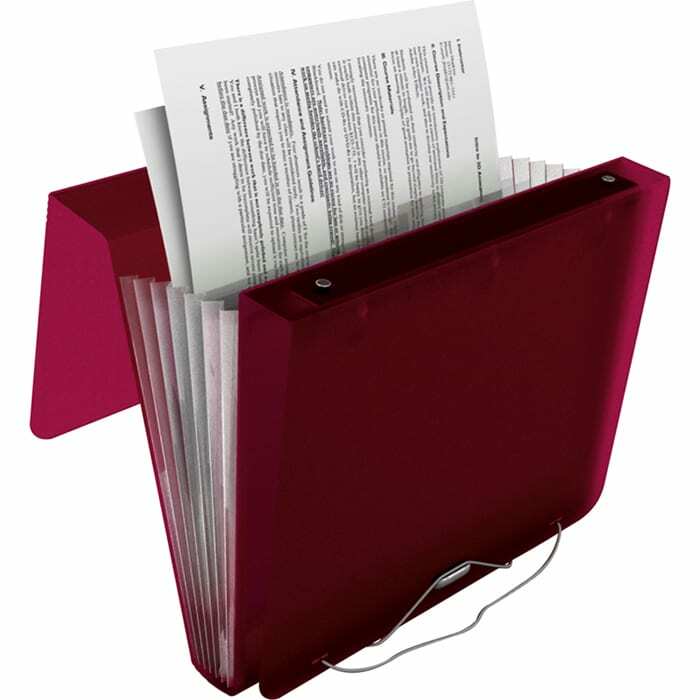 No more shelves of binders that slide and tip over every time you remove one. The binder has clips to hang in a filing drawer. The 2-in-1 organizer has tabs on the top of each file section making it easy for labelling. It also has 2 elastic closures so you can open just the file section or just the binder section. This is helpful as it prevents any loose papers from falling out when you open the binder section. In addition to the clips to hang it in a filing cabinet, the 3-in-1 organizer has tabs only on 3 file sections for easy labelling and one elastic closure. The fold over lid is quite stiff and initially caused me some problem but if you fold it open and re-crease the fold the lid will stay back and make it easy to access the plastic file section. The files hold paper that is exactly 8 ½ by 11 inches. If you have manuals or slightly large paperwork you may need to trim it. Fold over lid keeps document secure. At first you may be fooled and think the elastic closure won`t stay closed because the elastic is loose. The elastic closure works well when the organizer contains paperwork making the elastic tighter. The file sections are open at the bottom edge, it is not a pocket. Some small items may slide under the edge and into the next section. If this is a problem for you try using an envelope to hold small items in the file section. The dividers are flexible and bend slightly making it is hard to get paper to slide easily into the correct section. As you get used to it and you have more paper in the sections it becomes quite easy to use. This may be the perfect product if you have large client files. You can record your ongoing notes, to do lists, reference information in the binder section and use the file section for billing, receipts, marketing material, information to give to the client, calculator, and ipad.etc. It would also be a great networking tool. You can have a place for notes, following up with clients after a meeting, recording upcoming events and to do lists and file all your marketing material. 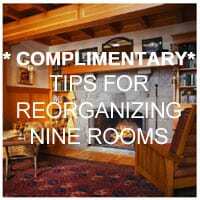 It would always be ready to go when a networking event arises. 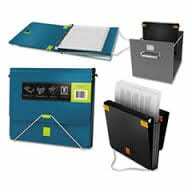 Having the binder and file system in one organizer gives you the flexibly of storing paperwork in the way that suits your preferred style and the paper best. You can pick it up and go and look like you are ready to work. Wow! This is similar to the Duo Multitasking Binder I reviewed a few years ago, but with even more features. I love that you can hang it in a filing cabinet. Yes agree the hanging in a filing cabinet is very nice. They don’t slide around they stay vertical or horizontal depending on how you think of it.